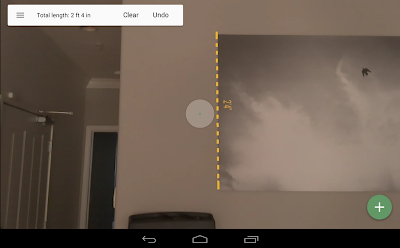 At Google I/O, we showed the world many of the cool things you can do with Project Tango. Now you can experience it yourself by downloading these apps on Google Play onto your Project Tango Tablet Development Kit. MeasureIt is a sample application that shows how easy it is to measure general distances. 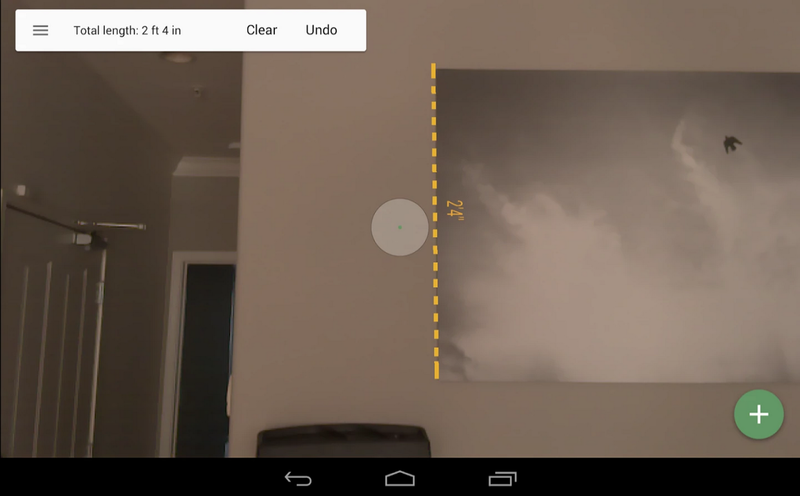 Just point a Project Tango device at two or more points. No tape measures and step ladders required. Constructor is a sample 3D content creation tool where you can scan a room and save the scan for further use. Tangosaurs lets you walk around and dig up hidden fossils that unlock a portal into a virtual dinosaur world. 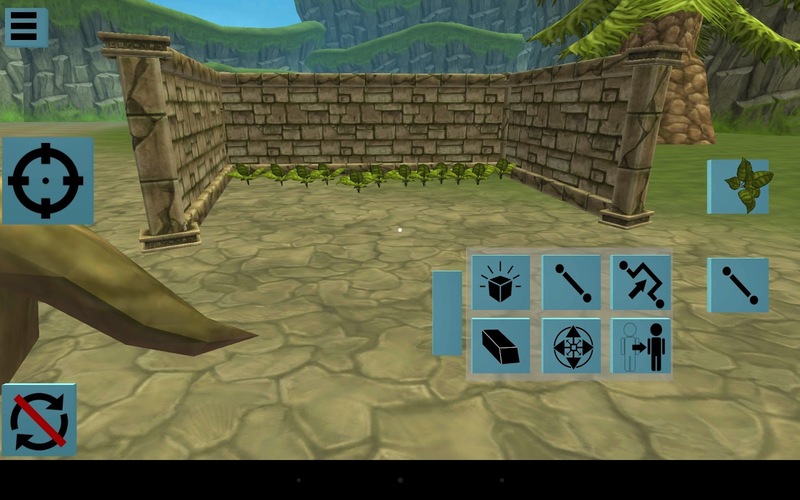 Tango Village and Multiplayer VR are simple apps that demonstrate how Project Tango’s motion tracking enables you to walk around VR worlds without requiring an input device. Tango Blaster lets you blast swarms of robots in a virtual world, and can even work with the Tango device mounted on a toy gun. We also showed a few partner apps that are also now available in Google Play. 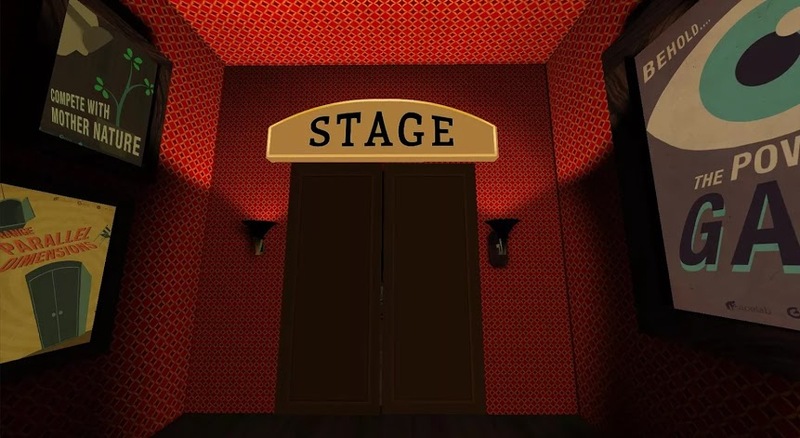 Break A Leg is a fun VR experience where you’re a magician performing tricks on stage. 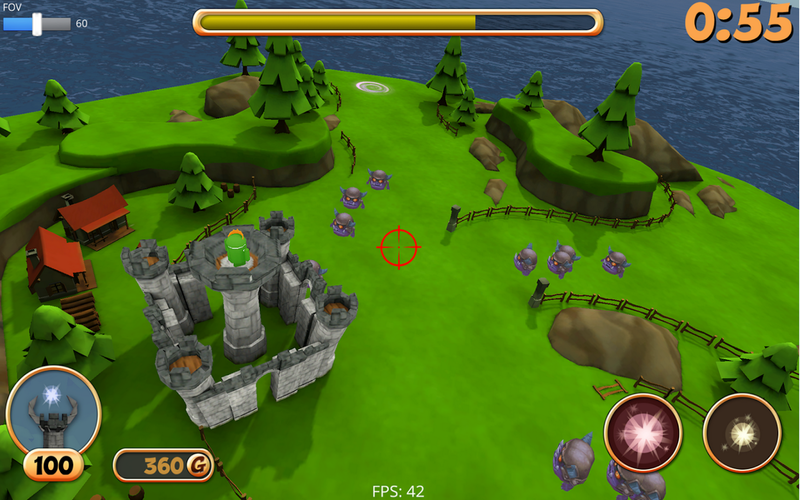 SideKick’s Castle Defender uses Project Tango’s depth perception capability to place a virtual world onto a physical playing surface. 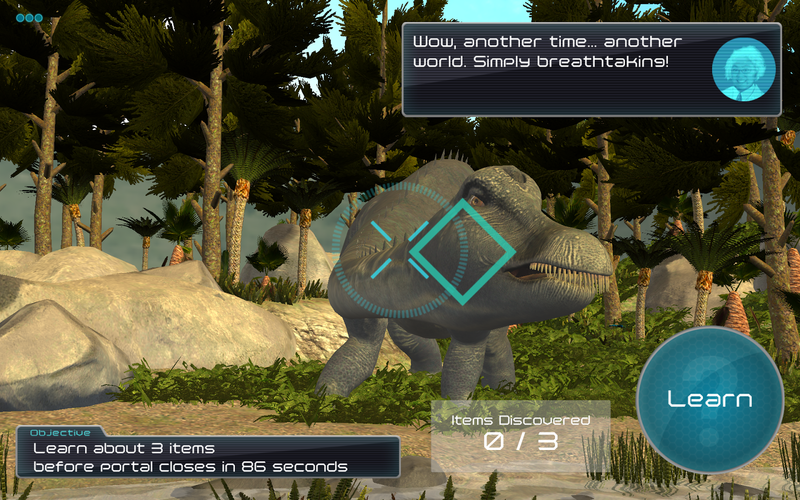 Defective Studio’s VRMT is a world-building sandbox designed to let anyone create, collaborate on, and share their own virtual worlds and experiences. VRMT gives you libraries of props and intuitive tools, to make the virtual creation process as streamlined as possible. 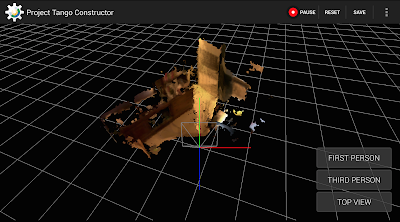 We hope these applications inspire you to use Project Tango’s motion tracking, area learning and depth perception technologies to create 3D experiences. We encourage you to explore the physical space around the user, including precise navigation without GPS, windows into virtual 3D worlds, measurement of spaces, and games that know where they are in the room and what’s around them. As we mentioned in our previous post, Project Tango Tablet Development Kits will go on sale in the Google Store in Denmark, Finland, France, Germany, Ireland, Italy, Norway, Sweden, Switzerland and the United Kingdom starting August 26. We have a lot more to share over the coming months! Sign-up for our monthly newsletter to keep up with the latest news. Connect with the 5,000 other developers in our Google+ community. Get help from other developers by using the Project Tango tag in Stack Overflow. See what others are creating on our YouTube channel. And share your story on Twitter with #ProjectTango.